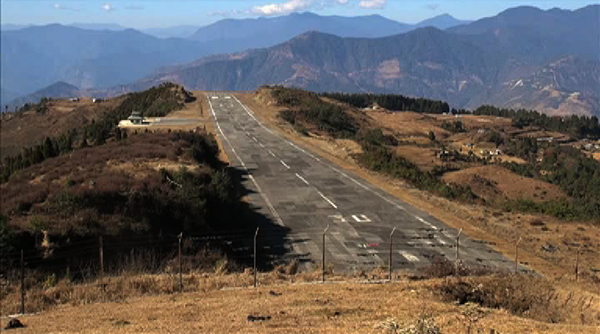 Ever since Yonphula Domestic Airport has been closed for maintenance, tourists’ hotels in Trashigang are seeing a drastic drop in the number of tourists. The last flight the airport saw was on October 11, 2014. And, it will be another two years before a plane lands on the airstrip again. Lingkhar Lodge is one of the two main tourists’ hotels in Trashigang. The owner had invested quite a sum building the lodge. Lingkhar Lodge has employed 15 youth. “If the airport does not become operational soon, some of us may even lose our jobs,” said the lodge’s Receptionist, Pema Choden. Druk Deothjung Resort’s Proprietor, Kuenga said he has invested more than Nu.60 MN to construct the resort. He said the tourists visiting his lodge dropped by almost 50 percent, this Tshechu. The Department of Civil Aviation had earlier floated the tender. However, not a single qualified contractor came forward to bid. The department retendered again in November. Yongphula Domestic Airport was inaugurated on December 17, 2011. The airport will be renovated with financial support from Asian Development Bank of USD 3.93 MN.